This dish is normally prepared on the occasion of Janmashtami. Generally Konkanis don’t eat onion and garlic on the fasting days, so this curry is prepared with ginger and green chilly for flavour. 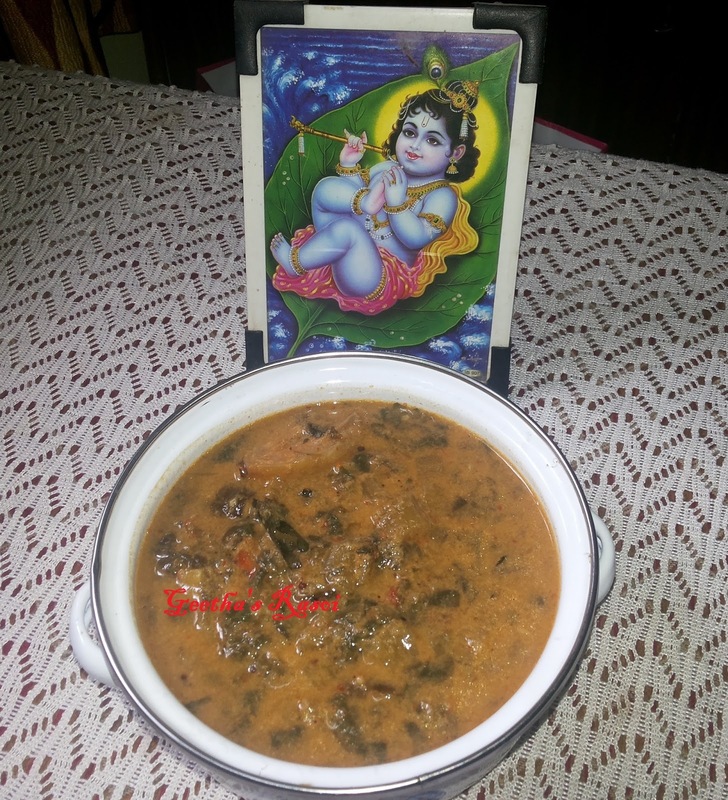 This is prepared with Colacasia leaves, but we can prepare it with any leaf vegetable like palak, cheera, etc. Pressure cook roughly chopped veg leaves, green chilly, hog plums, chopped garlic and salt for 1 or 2 whistle. Grind grated coconut and red chilly (if using tamarind instead of hog plums grind it along with this) to paste. Add this masala to the cooked leaves mix and boil it for 5 to 10 minutes. Pour oil in seasoning pan, add mustard and curry leaves, when it pops up pour this into the boiling curry. Alvathi is ready to serve.